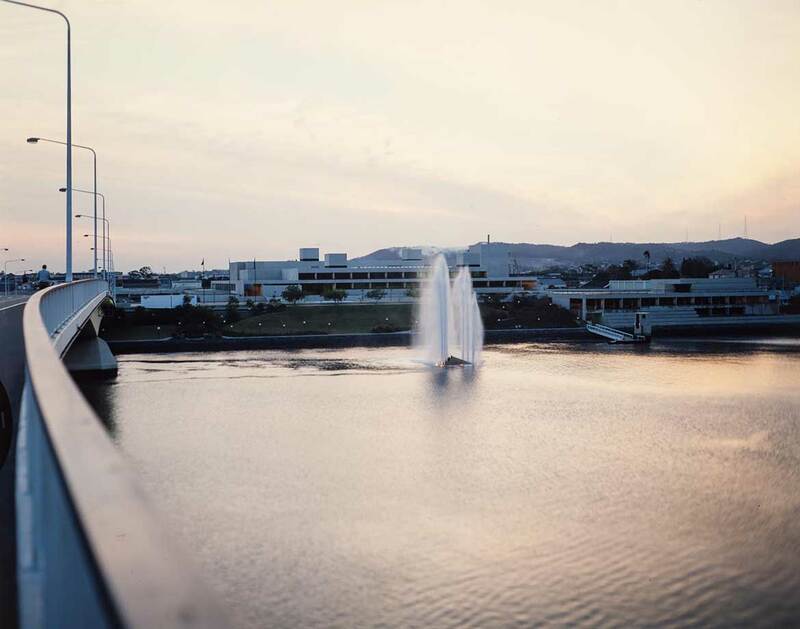 Robin Gibson’s vision of Brisbane celebrating its powerful river changed the face of the city’s South Bank waterfront, and his award-winning design for the Cultural Centre enabled the Queensland Art Gallery (QAG) to host major national and international exhibitions, including ‘The Asia Pacific Triennial of Contemporary Art’. In this tribute by Michael Barnett, we honour the legacy of one of Queensland’s most esteemed architects, Robin Gibson, AO 1930-2014. 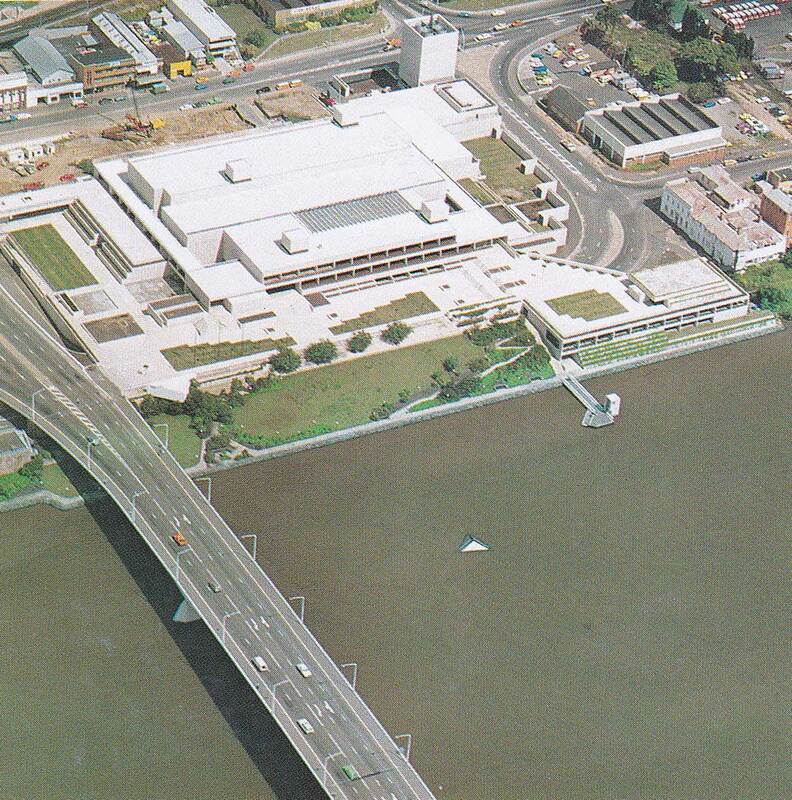 Winner of the Sir Zelman Cowan Award for the most outstanding public building in Australia of 1982, the Queensland Art Gallery building at South Bank is characterised by the robust expression of its white concrete frame. Horizontal tiers step back from the river’s edge in a rigorously formal arrangement, invoking a classic modernist aesthetic and shaping a careful spatial sensibility, firmly in the tradition of Mies van der Rohe’s seminal Barcelona Pavilion. 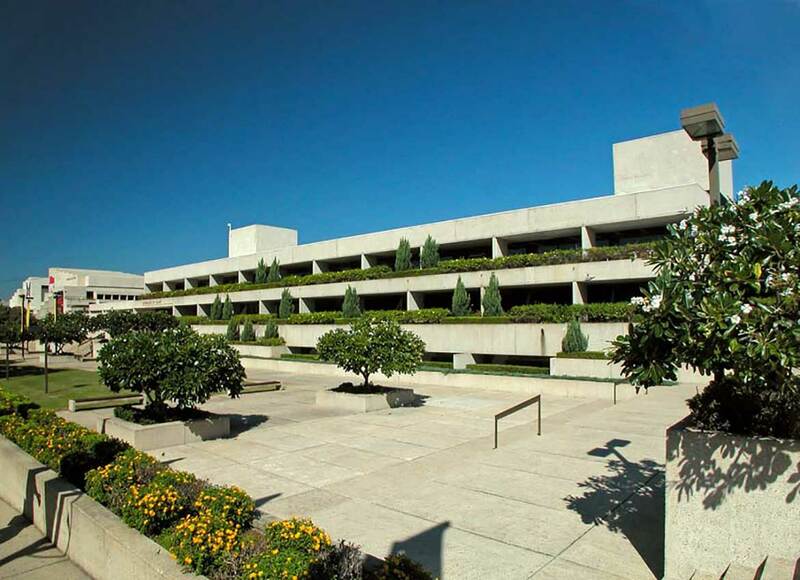 With his 1973 prize-winning design, architect Robin Gibson, AO, sought to create a vibrant urban park as an integral part of an extensive mannered complex, in order to foster community engagement with culture, much like its most discernable reference: the 1969 Oaklands Museum of California — widely respected as one of the most significant examples of mid-twentieth-century modernism in the United States — designed by Pritzker Prize‑winning architect Kevin Roche (of Roche Dinkerloo) and landscape architect Dan Kiley. 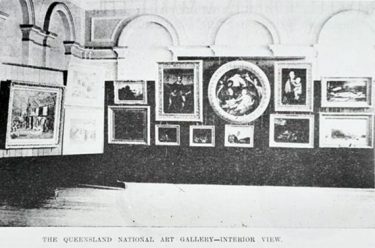 Alongside state-of-the-art innovations, including spaces designed especially for Queensland artists’ projects, touring exhibitions, and the emerging ‘blockbusters’, the building’s design demonstrated Gibson’s own creative interests. 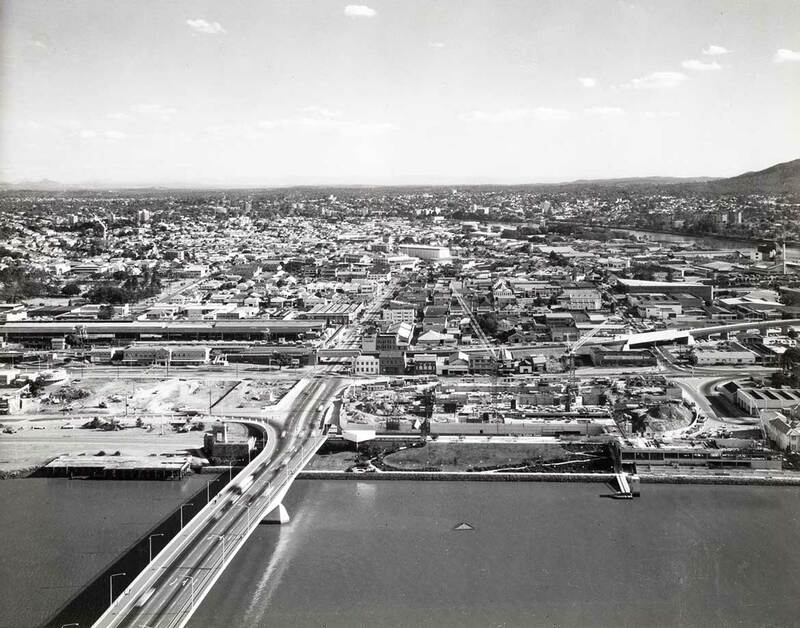 Paralleling the passage of the Brisbane River, a chain of pools across the site provided a visual spine for the later, extended Cultural Centre. The main exhibition rooms appeared in a variety of spatial scales. View lines connected the interior with the gardens and pools outside. The expansive Watermall was a truly remarkable and generous civic room, designed precisely for the celebration of convivial society. Each aspect of the building reflects what Gibson considered intrinsic and imperative adjuncts to personal aesthetic contemplation. 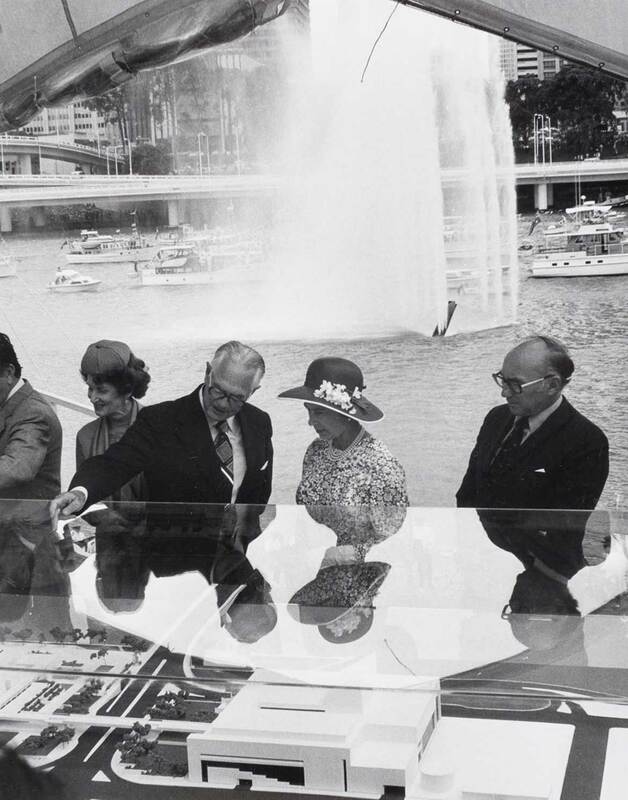 His conviction that the river was one of the city’s most compelling attributes, which was a key aspect of his proposal, instigated a spirit of renewal that led to the revitalisation of the South Brisbane waterfront. 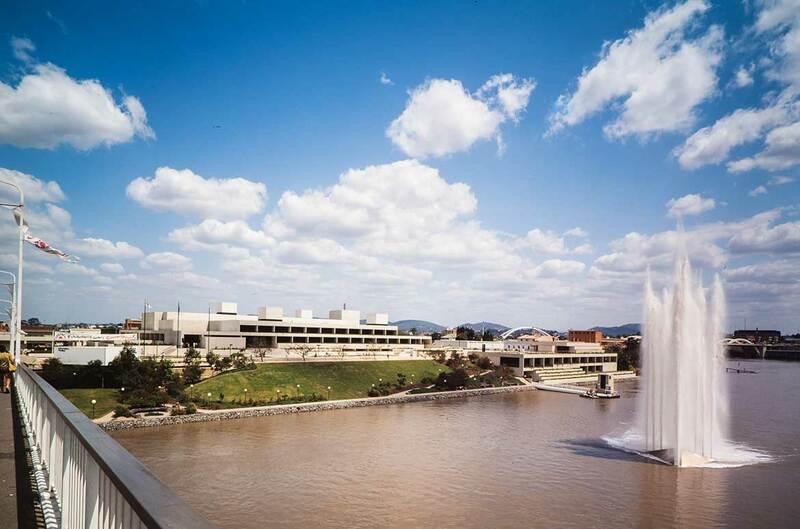 The thriving cultural hub and urban playground that the Cultural Centre and adjacent Southbank Parklands became spurred Brisbane’s civic identification as the ‘River City’. Advocacy and engagement are essential aspects of any successful architect’s public projection, and Robin Gibson’s call for a new, dedicated home for the Gallery throughout the 1960s underscored the importance of these. 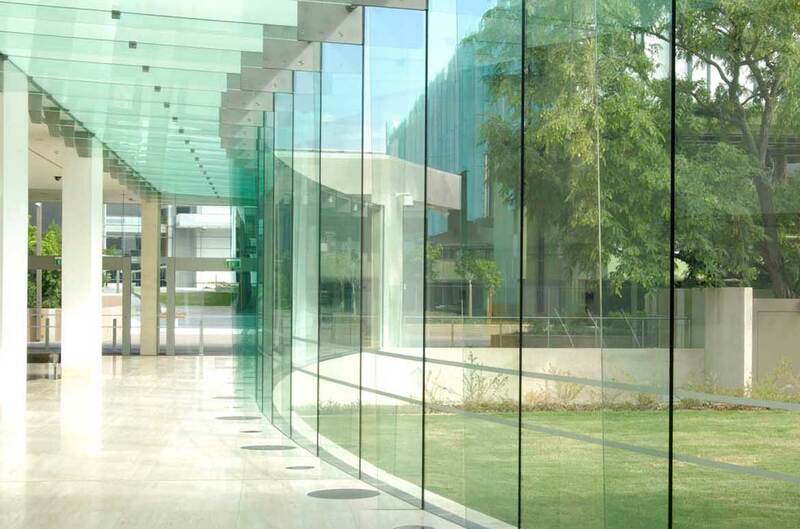 This new building was a proving ground for a dramatic reframing of the Gallery’s role in the development of Brisbane as a tourism destination. In addition to this, and considering the lack of purpose-built facilities until this time, the new building would more effectively support the organisation’s longstanding service programs for the rest of the state. Those new aspects of his art museum design were critically important, and positioned the Gallery to embrace a focus on contemporary art along with its more historically oriented collecting and exhibitions. 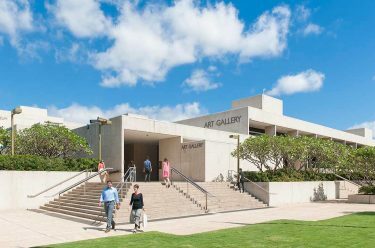 Within its first decade at the new site, the Queensland Art Gallery launched several ambitious undertakings and has since become a leading institution in the region, in part because of its capacity to stage unique projects such as the Asia Pacific Triennial of Contemporary Art (APT) exhibition series. Gibson’s emphasis on functionality, which underpinned the initial development of the building project, was founded on his commitment to extensive international research, an awareness of what was going on in the world at the time, and great judgment regarding what was most important in the outcome. When the Millennium Arts expansion of the original Cultural Complex was endorsed in 2000, Gibson was commissioned again to create the new entrance to the existing building. Adding a crystalline curve to the otherwise rigorous rectilinearity of his original structure, Gibson demonstrated that clear intelligence bastioned by an underlying and mischievous wit for which he was well known. Robin Gibson’s greatest contribution to the state as a master architect, 1982 Queenslander of the Year, and 1989 recipient of the then RAIA Gold Medal for outstanding contribution to the profession, is an enduring reminder of his commitment to the Gallery’s purpose, his professional regard for those outside as well as inside public buildings, and his personal conviction that the aim of architecture is not only to house but also to magnify the experience of living. Michael Barnett worked for many years at the Gallery on its building development programs, including the Gallery of Modern Art. I absolutely love the QAG – it is one of my favourite Australian buildings. Will a book ever be released to celebrate the architecture of this amazing buildng?